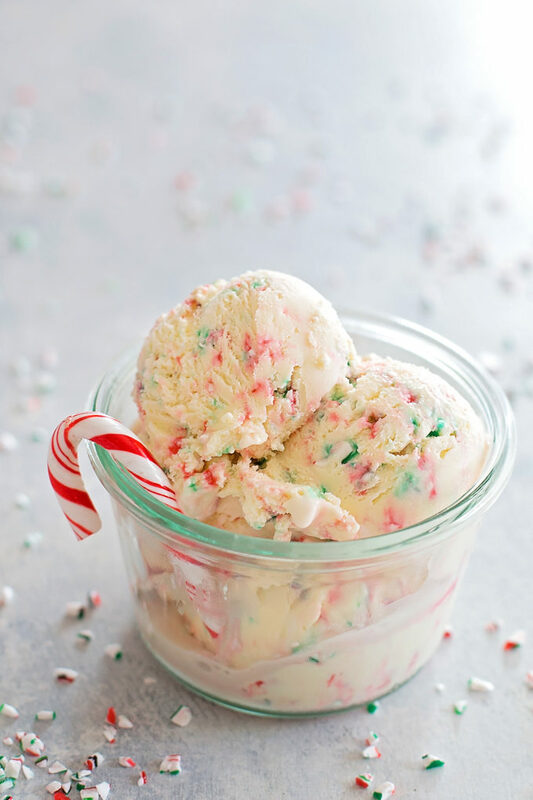 This festive peppermint stick ice cream is blended with crushed candy canes and peppermint extract. It’s perfect for the holidays! 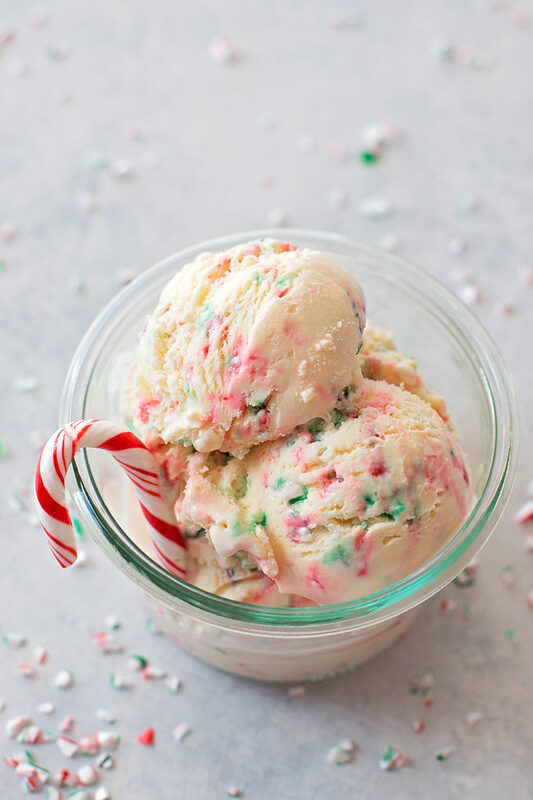 The holidays aren’t complete without a big bowl of peppermint stick ice cream! I grew up in a mint-loving household. My husband on the other hand, has slowly come around to mint desserts. He loves to joke about how he doesn’t want to feel like he just brushed his teeth after eating a treat. 🙄 It’s taken several years, but I think he’s now a convert. Thankfully our children love mint too. Did I luck out or what?! 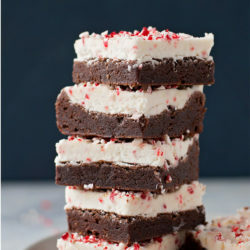 I wanted to recreate this holiday favorite using my vanilla ice cream base, a generous amount of peppermint extract and a whole lot of crushed candy canes! 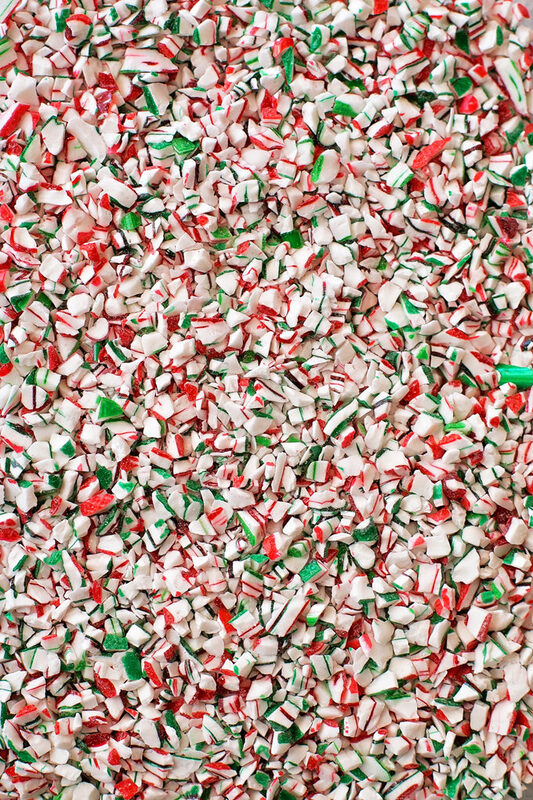 If you’re like me and want to skip the mess & absurdly loud noise that comes from crushing your own peppermints in a food processor (or with a rolling pin), you can pick up a bag of pre-crushed candy at most well-stocked grocery stores. They usually come in bags, glass jars or in bulk. I’ve also noticed that they don’t stick together like when you crush them at home. Maybe those of you that live in less humid areas of the country don’t have that issue, but the struggle is real here in Virginia! Once the base has been cooked, you’ll whisk in the extracts. We’re going to use a combo of vanilla and peppermint for optimal flavor. Then you’ll need to chill it. The colder it is the better the result. NOTE: Make sure your ice cream maker base has been in the freezer for 24 hours before you use it. Churn the base for about 25 minutes, then use a rubber spatula to fold in the crushed candy. 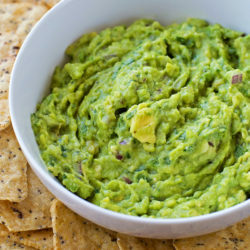 Spread into a freezer-safe container and freeze for 2-4 hours. I prefer a hard ice cream so I like to give it the full amount of time. 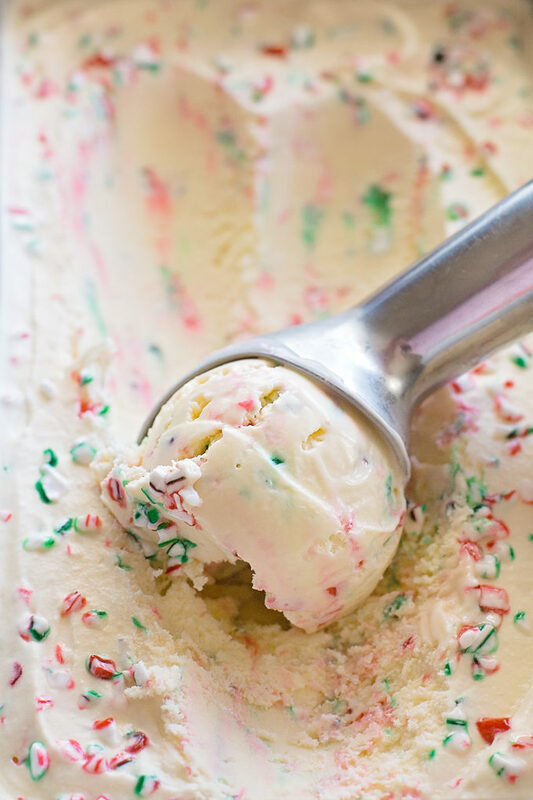 This homemade peppermint stick ice cream will disappear fast. 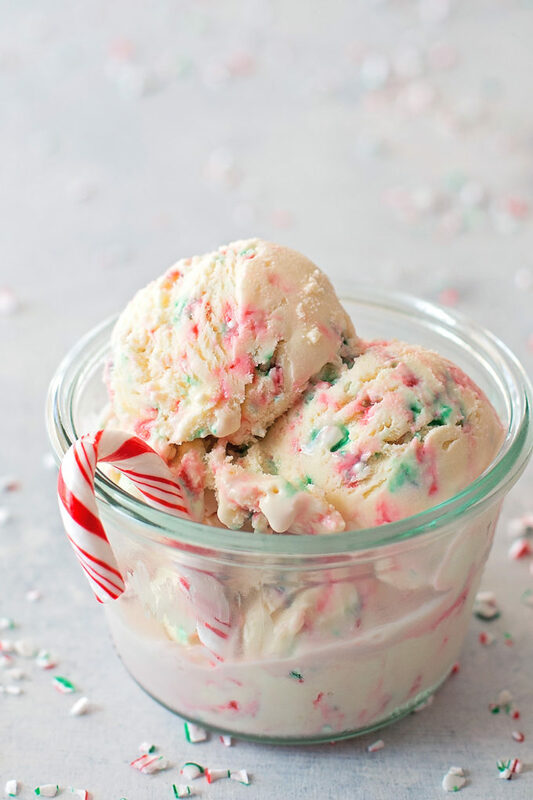 It’s creamy, pepperminty and perfect for the season. 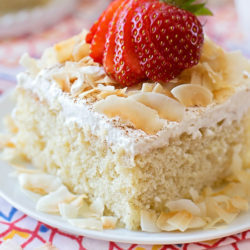 You’ll be churning up this sweet treat all winter long! In a medium saucepan set over medium heat, combine the half and half, 1 c. of heavy cream, granulated sugar, corn syrup, and salt. Heat until warm. In a small mixing bowl whisk together the eggs, slowly pour the warm mixture into the eggs, whisking constantly. Go really slow so you don’t scramble them! Gradually pour the mixture back into the saucepan. 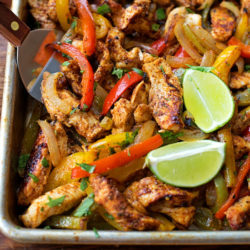 Constantly whisk over medium heat until the mixture thickens and reaches a temperature of 165 degrees. Pour the mixture through a mesh sieve set over a medium size mixing bowl. Stir in the remaining heavy cream, the vanilla and the peppermint extracts. I generally set my bowl over an ice bath to cool the base down as quickly as possible. 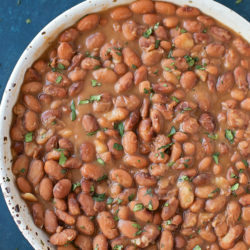 Cover and refrigerate for at least 2 hours, preferably overnight. 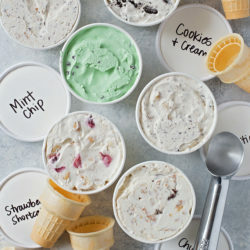 Remove the ice cream base from the refrigerator and pour into a prepared ice cream machine or attachment bowl. Freeze according to the manufacturer’s instructions (about 25 minutes). 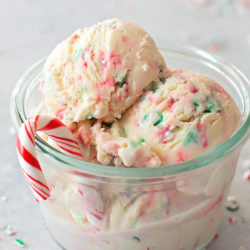 When the ice cream is firm, fold in the crushed candies. 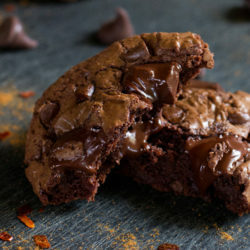 Place in a freezer-safe container. 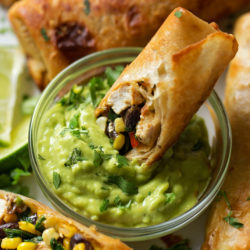 Freeze for 2-4 hours before serving. I start craving this ice cream at Thanksgiving. But never had the opportunity to pick any up from the local creamery, this year. 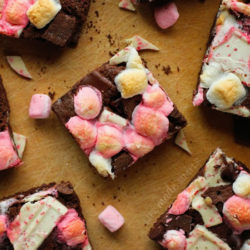 I decided to make it for our Christmas Day Dessert! I think I’ve started a new tradition! It was amazing! Thank you!